It has long been known that old stone walls have been everywhere throughout the New England States. 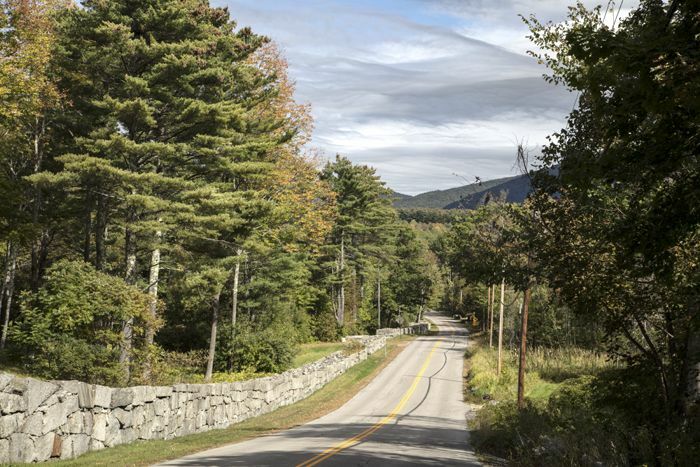 In fact, in the 1930s, someone estimated that New England had 250,000 miles of stone walls. However, that number has since been doubled. In the decades that followed, people began to wonder about the region’s hundreds of stone chambers. These distinctive stone structures, also called huts, caves, beehives, dolmens, and root cellars, have long provoked questions about their age and cultural origins. 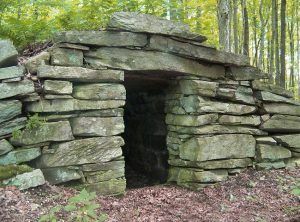 There is approximately 800 stone–built chambers scattered across the New England States that are of a design and form that have been found nowhere else in North America. Generally, they are in circular and rectangular forms that range from 15-30 feet long, are about 10 feet wide, and have a 10 feet tall central chamber. The most elaborate structures, called “beehive” chambers were built in a conical shape and sometimes feature smoke holes for ventilation, as well as shelves and benches incorporated into the walls. Most of the best-preserved chambers are driven into hillsides, though others are freestanding. Characteristically, they are expertly constructed with fitted masonry stone and capped with megalithic slabs. Surrounding these chambers are often found cairns, standing stones, enclosures, ceremonial walls, pedestal boulders, and balanced rocks. Though the structures exhibit a number of common features, their construction details vary widely. But, they differ from other colonial structures including stone burial vaults, charcoal and lime kilns, potash burners, and iron furnaces. These chambers have been found in New York, Massachusetts, New Hampshire, Pennsylvania, New Jersey, Rhode Island, Vermont, Maine, Ohio, Virginia, West Virginia, and Kentucky. Though many historians and archeologists believe these structures were built by early colonists as root cellars, or perhaps by Native Americans before them, others believe that some of these chambers are ancient, built by European travelers during the Bronze Age. Intense public interest began after Professor Barry Fell, a retired marine biologist from Harvard University, undertook an examination of several areas in Vermont in the 1970s. 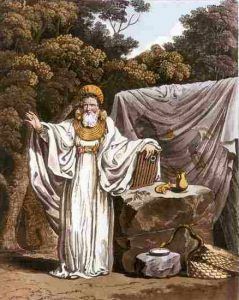 Fell stated that he had identified inscriptions in an early form of Ogam script dating from 1000 B.C. to 300 B.C. carved in stone by “Celts from the Iberian Peninsula” located in the southwest corner of Europe in what is today’s Spain and Portugal. The professor believed that these many megalithic chambers were built by the Celts who welcomed Phoenician mariners from the Mediterranean Sea. Further, he asserted that these structures, built along rivers in secluded valleys and on hilltops were erected by the priests (or Druids) for use as temples. Fell and others who support the idea of the ancient European settlement, also cite further evidence such as the use of stone circles, carved deities and animal figures, symbolic markings, Celtic place names, cairns, and chamber features that align with the sunset and sunrise during solar solstices and equinoxes. Further, the beehive-shaped stone chambers look very much like ancient chambers built by monks in Ireland. However, Fell, who utilized his tenure at Harvard to pursue his hobby of alternative history, is not well respected by archeologists, which immediately led to controversy. The debate focuses on the two theories of historic origin or ancient origin. Most believe that the structures were built by early colonists for use as root cellars, settlers’ quarters, smokehouses, shepherds’ shelters, animal pens, whiskey storage facilities, and hunting or trapping enclosures. However, this does not explain that early records of New England colonists make mention of stone chambers preexisting before they settled the land and also described in their writings, the existence of strange “Indian forts.” Nor does it explain that sometimes the age of the chamber could be authenticated by trees that predated settlement, that passageways were often too low and narrow to wheel a cart into, and the chambers’ having soil floors that would rot vegetables. Further, why would practical-minded colonial farmers create such complex and well-crafted megalithic “root cellars” for simple use of their fruits and vegetables? Especially ones like these? While their homes and other buildings have long since vanished, these stone chambers still exist. Other researchers have presented the facts that the chambers were far too large for use for food storage and most colonists built root cellars underneath or near their homes instead of in the upland areas where most of them are found. And, why would these people have spent so much time and effort quarrying great amounts of stones and hauling them to these sites, when trees were abundant? Though some have suggested they were built by Native Americans, this has long been generally discounted, as there is no archeological or ethnological evidence that prehistoric or historically known Indian groups undertook the level of stone construction represented by the stone chambers. 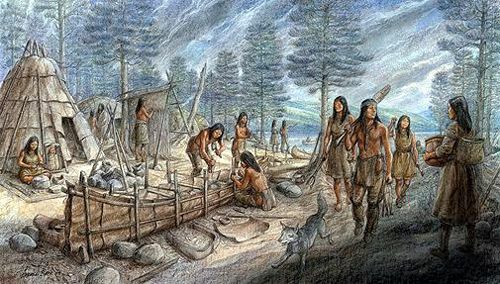 Further, the Native Americans of the area were known to limit their use of upland areas where the vast majority of the chambers are located, to hunting and other short-term activities, and lived more permanently on river or lakeside environments. Additionally, nowhere in America were Native Americans known to have constructed sweat lodges made of stone. 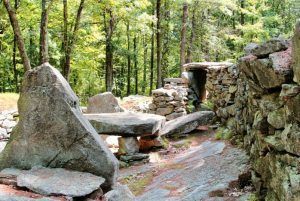 However, many researchers today adamantly disagree and believe that the stone chambers were, in fact, built by American Indians or their ancient ancestors who lived in New England before the arrival of the first Europeans. Indigenous groups from other parts of America, such as the Adena and Mississippian cultures were known to have created entire cities and ceremonial centers with stone and dirt, so why not the structures in New England? 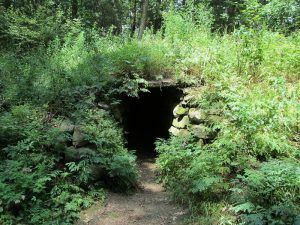 In the summer of 1974, Byron Dix discovered in Vermont the first of many areas in New England that he believed to be ancient Native American ritual sites. Later, he and James Mavor led a seven-year investigation into stone sites in New England. 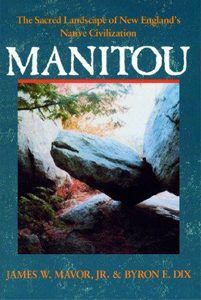 For 15 years they worked together researching and interpreting New England’s stone structures before publishing their findings in the book Manitou in 1889. Though neither author was a trained archaeologist, they showed that the Indians had more astronomical knowledge than had previously been acknowledged and that there is a wealth of archaeological remains in New England that had been ignored by archaeologists. Manitou is the Algonquin word for God and is “the spiritual quality possessed by every part or aspect of nature, animate or inanimate…………. aspects of the natural world that are sensed but not understood.” This description is consistent with the way the early inhabitants of this continent regarded their surroundings. The two told the story of the discovery and exploration of these many stone structures and standing stones, whose placement in the surrounding landscape suggests that they played an important role in celestial observation and shamanic ritual. Many of these ritual sites connect with other sites to form networks that stretch for hundreds of miles. The book’s general conclusion is that shamanism, vision-seeking, and careful solar and stellar observations were among the central motifs in the cultural beliefs of the natives who built them. The two also concluded that many of these sites were at least several thousand years old.